Can a classic board game solve all your problems? Of course not. But let me tell you a little story about mancala. Mancala is a strategy game that two people can play. It is also the game which, when I finally purchased it, became the inspiration for my inquiry into other historical games that kids and grownups have played around the world with little more than a few found items and their brains. quick game with enough strategy to keep it interesting. a game that kids as young as 5 can learn and play with skill, but which doesn’t get boring as they grow older. Mancala is what is known as a “transfer game.” The board has two rows of depressions, plus end “home” bowls. The goal is to transfer the most stones from the two rows into your home. A set of rules govern how you deposit and capture stones. You must use strategy to capture stones and ensure you do not leave them vulnerable to your opponent’s greedy, greedy paws. Playing mancala improves memory and observation skills, strategic thinking and planning ahead to make sure you don’t inadvertently give your opponent the opportunity to thwart you. This requires kids to consider their opponent’s moves (think: empathy and perspective!). Without even knowing it, kids are learning the necessary skills for mathematical calculations through counting, and one to one correspondence. 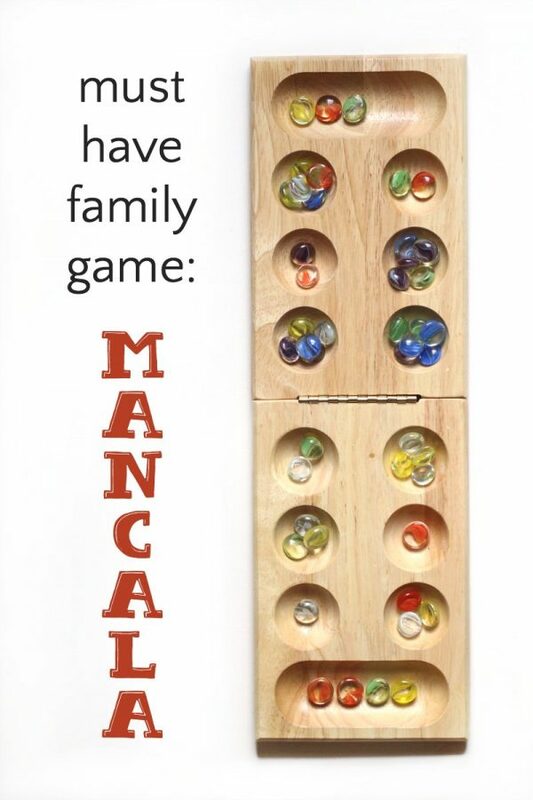 In addition, mancala improves the fine motor skills necessary for handwriting and building work! In short, mancala appears to be the miracle game you have been looking for. I know! Amazing, right? In my game of the month feature I always like to help out families who have kids younger than the standard recommendation. Of course, kids with a natural talent for strategic thinking and puzzles may be able to play this game as young as 3 or 4 – although they may not be able to keep up with their older siblings. Note: due to the small pieces, I recommend you keep the game away from children who still put items in their mouth. For a non-competitive transfer game, kids can play Tchuka Ruma. Click here to get my instructions for making your own Ruma game. There are hundreds of mancala varieties in cultures around the world, especially in Africa. Archaeologists believe they have discovered versions of the game that date as far back as the 6th century A.D.! Now, if a game as survived that long, you know it’s good. See why I consider it a must-own game? 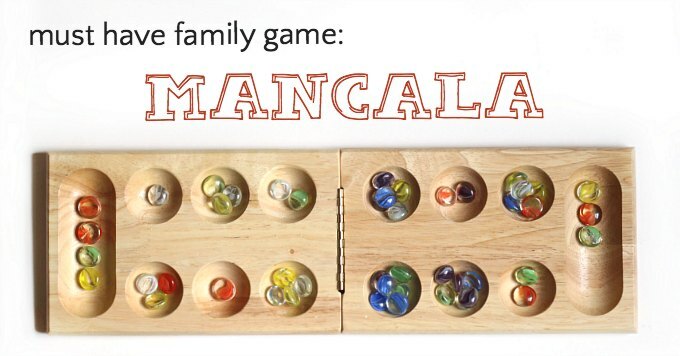 Learn more about this history of mancala here if you like! I am glad you posted this! I think Mancala games are sadly overlooked in this corner of the world. Check out Oware, a Mancala game that uses the same board with different rules. It is popular worldwide with its own international organization. I prefer the rules to the ones that come with the standard US set. Thanks, Laura. I’ve heard of Oware but never actually tried it. Thanks for the push! I’ve always liked Mancala, and many years ago I was surprised to learn to play it in South Dakota with family. Only they had no nice wooden game board, so they used 2 (half-dozen size) old muffin tins placed end to end with a small bowl at each end and marbles or small rocks. They called the game “Caleb”. I think the rules were about the same, but there may be variations.